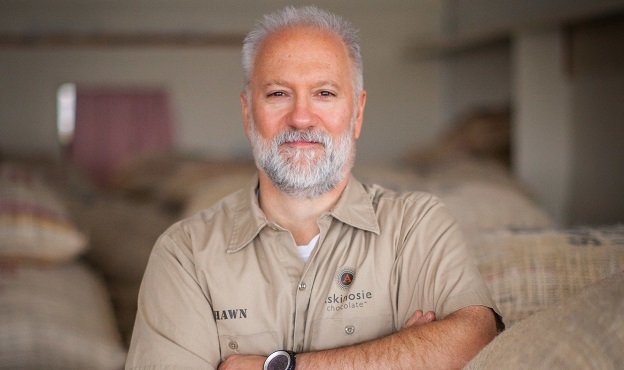 Celebrated entrepreneur, community leader, mentor and philanthropist, Shawn Askinosie is best known for the admirable business model of his chocolate business, Askinosie Chocolate. His company has been so successful that he was named by O, the Oprah Magazine, as one of the “14 guys who are saving the world,” and some of his products are being featured by Target as part of their “Made to Matter” campaign, which highlights businesses that “offer better choices.” Photo courtesy of MU News Bureau. During the weekend of May 13-15, 5,606 students will receive degrees during spring commencement exercises at the University of Missouri. University officials also will honor MU Law alumnus and philanthropist, Shawn Askinosie, with an honorary degree. During the commencement weekend, MU will award 6,229 degrees, including 4,630 bachelor’s degrees, 949 master’s degrees, 321 doctorates, 113 law degrees, 108 veterinary medicine degrees, 86 medicine degrees and 22 education specialist degrees. Some students will receive more than one degree. Nearly 300 students are graduating from MU’s online program, Mizzou Online. Students in the online program come from 34 states and 3 countries.